Bohemia Comes From Opera, Boleros and Trova. Mexican soprano knows how to mix it. Content by Lupita Peimbert. It was her first time performing in San Francisco, at charming venue in the heart of the Mission District. Mexican soprano Rocío Jiménez combined opera, boleros, and Latin American Trova, and we liked it! 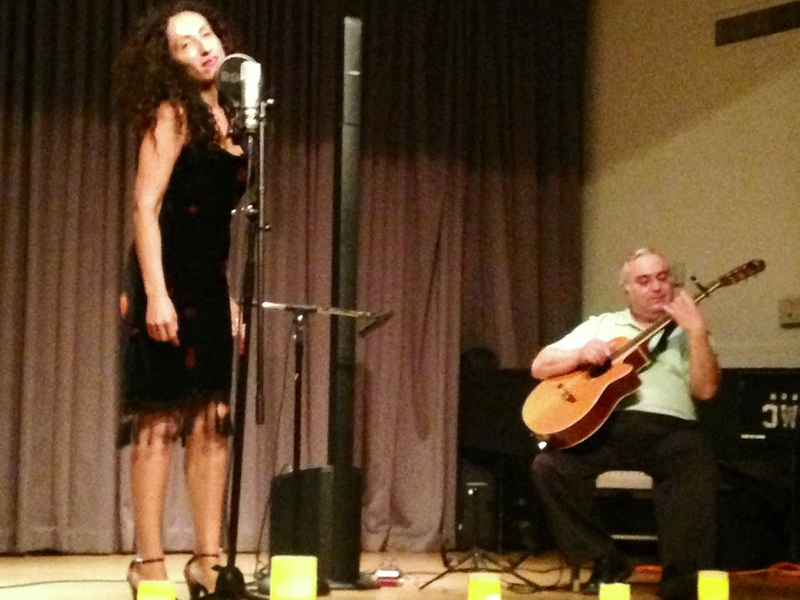 Rocío Jiménez‘ sultry, delicate voice, the amazing guitar music by Hugo Waizinger, and a couple of female piano players, turned a simple evening into a bohemian night, at the small theater in the Community Music Center. A night filled with delightful nostalgia. Here is a little taste of it. Rocío Jiménez en San Francisco por primera vez. Rocio was born in Tepic, Nayarit; she grew up in Tuxtla and eventually moved to Guadalajara, Jalisco, where she currently resides. One can find the artist performing at cafes, art-bars, and at some unusual places. “It has been my purpose to bring opera, which is my passion, to as many people as possible, let them hear it, feel it, and understand it. I do it by mixing it with other musical genres I also love: boleros and trovas,” the soprano says. Her repertoire includes Litto Nebbia and Silvio Rodriguez, two giants of the Latin American song, or Trova. Rocío likes the public to take part during her performances. She asks you to sing along, and behaves like a friend of yours while on stage. Opera is her background and training. Forgive me but I didn’t record her opera songs. 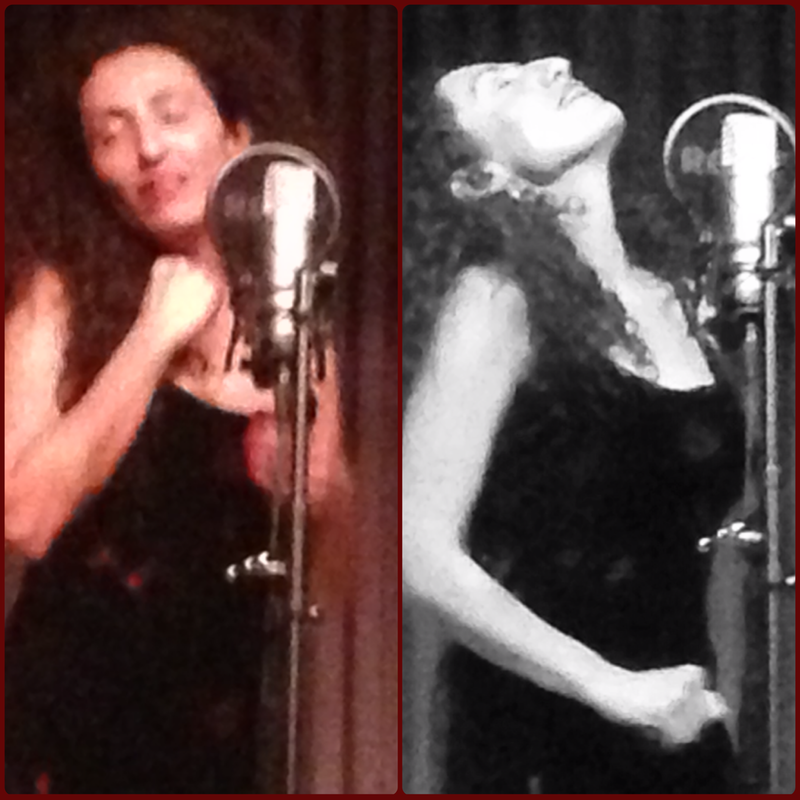 The boleros and the trovas is what I recorded, and I got her to sing backstage, a Capella, and to share in her native Spanish a little more about her life. 40 years. This is How You Support The Community. This weekend: Get Ready for Carnaval San Francisco! The Murals in Balmy Alley. LA POSARELA – A bilingual tradition a La San Francisco! Artist Michael Feldman was walking around San Francisco when he saw an influx of light at a corner. He started painting…just because! The house is the one above Casa María, a neighborhood store on South Van Ness in the Mission District. Feldman is an established, independent artist and gallery owner who loves painting landscapes, city-views, flowers, still life, and portraits. It was after 7pm Monday when drivers and passers-by saw him. It is wonderful to see displays of creativity and it is better when people allow you to capture a moment by taking pictures of them and sharing it with many others. :-)! The Michael Feldman Gallery is located at 630 San Anselmo Ave., Marin County.